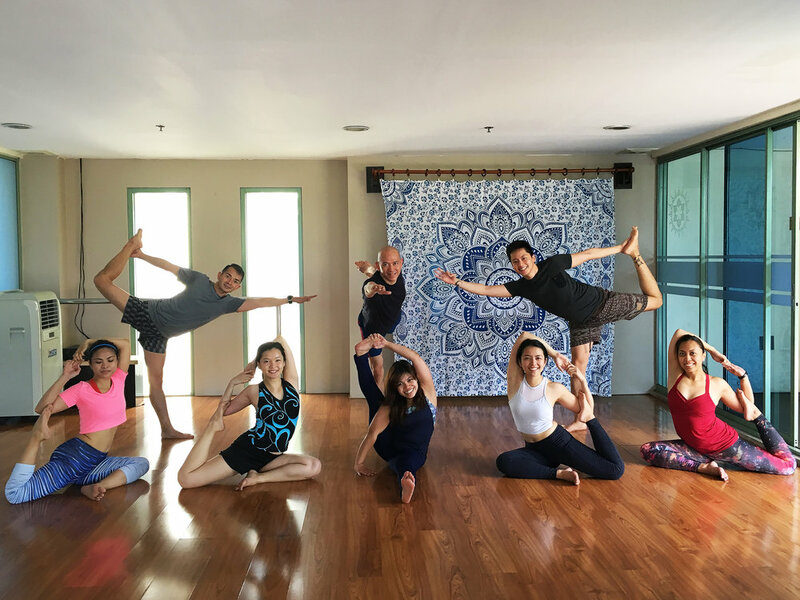 Surya offers yoga classes for practitioners of different levels: Hatha, Beginner’s Ashtanga, Vinyasa Open Level, and Vinyasa Intermediate (Power Flow). The schedule isn’t as extensive as other studios, but it’s enough for those looking to squeeze in a workout before and/or after work. They also offer two pilates-based classes, one being a combination of pilates and HIIT. Surya is located on the top floor (Penthouse) of Medicard Plaza, which is on the corner of Buendia and Paseo de Roxas, Makati. It’s a 15 minute walk from Ayala Triangle. If commuting, the Buendia MRT station is a 5-10 minute walk away. Yoga mats and other props are available for use, but best to bring your own when possible as they might run out when it’s a full class. A water dispenser and glasses are available too. Keep in mind though that there's no shower room. The drop-in rate is P450 per class, while class packages cost P4,000 for 10 classes, and P6,000 for 20. The unlimited packages cost P1,500 for one week, P4,000 for one month, P11,000 for three months, and P21,000 for six months. I like how going to Surya is fuss-free. It’s as if it took care of everything else so you can focus on your practice. On top of the free water, free cups, and free use of mat, the parking is free, which nowadays translates to big savings. Nestled near the EDSA-Buendia flyover, its strategic location helps a lot, especially if you’re like me who has to be in Ortigas early after a morning class. More than the aforementioned though, I reckon that the strength of Surya lies in its teachers. Teacher Marc who challenges you, Teacher Kate who’s like a mommy sharing tips you can do at home, and Teacher Eunice who constantly stresses the correct form are some of my favorites. Surya is now one of my favorite yoga studios. I’ve only recently started to go and I’m planning to go more often. The first yoga class I did was Pio’s class and I found that, with his guidance, I was able to achieve poses I didn’t know I could do. Marc’s Sunday practice is very noteworthy if you want to strengthen your own practice. He will definitely push you to improve and grow in your practice. Asha’s HIIT Pilates class is also worth trying if you’re up for a more intense workout. I’ve tried the mix of their schedules and I enjoy the fact that their classes never get too packed which is also a preference of the instructors to help them focus on the handful of student present. Surya is definitely one my happy places in the metro. The ashram may not be as large as some others, but the people are wonderful. I like that the classes never get too packed, which allows the teachers to provide you a bit more attention. Sunday practice here with Marc has definitely made me a lot stronger, and Asha’s pilates classes are unexpectedly tough too. I love when ate Rose serves tea after class! The studio isn’t air-conditioned, which adds to the whole experience when practicing here as there’s almost always a gentle breeze blowing through the room. We want to know what you think! If you've been to Surya, leave a comment below and tell everyone about your experience.